Strawberries are in season and they are everywhere. I love strawberries. And, lately, I have been buying both strawberries and blueberries to have for breakfast. 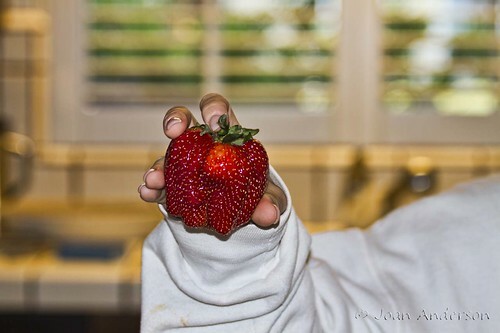 But, when I opened the last container I was amazed at the size of one of the strawberries. I couldn't resist taking a picture and giving the ultimate fruit a little plug. It looks like the size of apple. I like the Pavarotti's quote very much. Irina, it was the size of an apple - good comparison.